Additional information about individual teacher qualifications can be obtained though the Main Office upon request. Jen was born and raised in Utah. She lives in Clearfield with her husband and 3 boys and enormous dog Knox. She loves the outdoors especially skiing (in the water or the snow). She also enjoys spending time with her family doing whatever boys like to do. Right now this includes riding four wheelers, fishing and hiking. Her favorite food is chocolate and her favorite colors are green and blue. She loves teaching and feels blessed to have an occupation that allows her to work with such amazing small people each day. 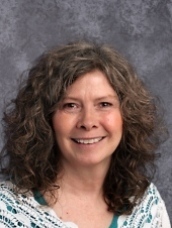 Martha Trease earned a Bachelor of Science degree with a dual major of Early Childhood Education and Elementary Education She also received a license in Special Education. 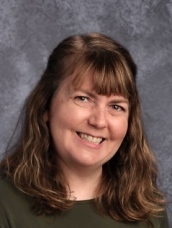 She recently earned a Master of Education degree with Curriculum and Instruction as her major and with a concentration and emphasis on Special Education from Weber State University. She has also taken several courses with the Institute for Guided Studies which is accredited with the Montessori Education Program International. Martha is in her sixth year working at Maria Montessori Academy. She started as an assistant in the Special Education program, and then worked two years as a teacher in the Special Education program, and now she is in her third year working as one of the Early Childhood teachers. She loves children of all ages and abilities and is thrilled to be a part of this wonderful Montessori community. Martha has lived in Utah all her life. She married her high school sweetheart 41 years ago. They have four grown children and twelve grandchildren. Her favorite pastime is anything to do with spending time with her family. As a family they look forward to vacationing at Lake Powell and spending time together. 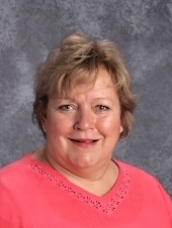 Karen Clements graduated from Westminster College with a Bachelor’s Degree in Special Education, emphasis in severe. She also completed her Montessori certificate through AMS at Westminster College and is a trained Lower Elementary Montessori teacher. Karen is trained in the Higher Steps program through the University of Utah Reading clinic. Karen has worked in Montessori schools for nearly 5 years in both the Toddler and Lower Elementary Departments. Before working at Maria Montessori Academy, she worked at Elizabeth Academy in Salt Lake City. Karen’s experience includes inclusive environments where students with disabilities are incorporated into general education classrooms. In the fall of 2017, Karen received the Teacher of Tomorrow award from the Utah Association of Supervision and Curriculum Development. She was nominated by the faculty at Westminster College as a promising student teacher. 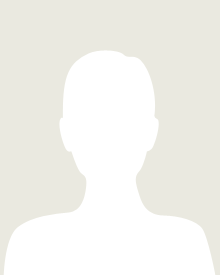 Karen is a mother of four children, all of whom attend Maria Montessori Academy. A native of Northern California, Karen is coming to love the open skies and snow covered mountains of Utah. 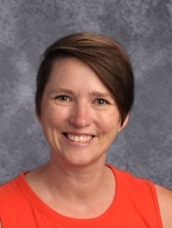 When she is not teaching, Karen enjoys traveling with her family and on her own, and can often be found on I-80 heading west to California and pine trees. She enjoys singing, learning about animals and plants, and working with children. Karen’s current projects and focus involve fostering an inclusive environment where all students can thrive. Karen intends to pursue a Master’s Degree, but is taking a breather and enjoying some much needed time with her children. 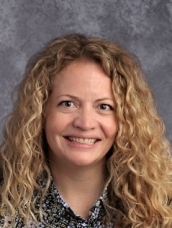 Krista Curran has been a part of Maria Montessori Academy since it opened in 2010. Ms. Krista holds a Bachelor of Arts degree in Humanities from Thomas Edison State College and has a level 2 teaching license. 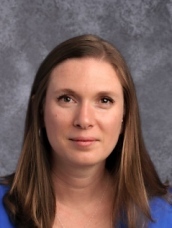 She has also received her certification as a lead teacher in the Montessori lower-elementary classroom through the Institute of Guided Studies. 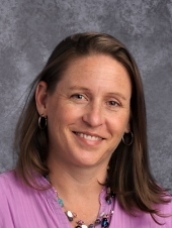 Previous to working at MMA, she worked at Ogden Valley Montessori School. As a teenager, Ms. Krista had the unique opportunity to spend eighteen months in Saudi Arabia. While there she was able to educate herself and choose what she wanted to study. Through this experience she learned firsthand that students learn best when given a choice in their education. As an adult, Ms. Krista also lived in Hong Kong. She has traveled to various parts of Europe and Asia, and loves to immerse herself in the rich cultural heritages to be found around the world. She has a great interest in history, art, language, and music. She also enjoys reading, piano, biking, learning new things, and especially spending time with her family. Ms. Krista loves teaching the children and truly respects them as human beings. Her greatest priority as a teacher is to help each child feel loved, appreciated and welcome in her classroom, so they will have the confidence to reach their highest potential in all aspects of their life. 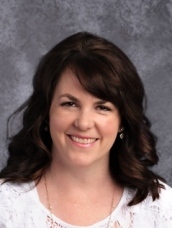 Holly Gladwell attended Weber State University and earned a Bachelor's of Science Degree and has a level 2 teaching license. She completed her Lower Elementary and Upper Elementary Montessori Certification through Institute of Guided Studies. She receive her teacher endorsement through the State of Utah. She has been working at Maria Montessori School since it opened in 2010. She discovered the Montessori philosophy while working at Ogden Valley Montessori School as an assistant teacher. She became inspired to be a Montessori teacher at Maria Montessori Academy and applied at the opportunity. Holly was furthering her education in the science profession at this time and made a career transformation. She observed that children were learning respect for themselves, the environment, and for others. The environment was prepared for the sensitive development of the child. The child revealed personal insight through manipulation of the materials. They developed confident personalities as they engaged in prepared lessons and activities with classmates. She was charmed to a world of education that enlightened the minds and hearts of children and gave them the tools to become leaders. It is exciting for her to be part of an educational philosophy that does not inhibit the development of the child's mind, body, and spirit. She is currently taking Merpati Putih an Indonesian Martial Arts. She has a love for learning and enjoys music, art, camping, biking, hiking, cooking, sewing, reading, and traveling. Family is a huge part of her life. 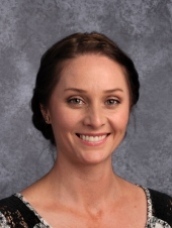 Brittany Herrera graduated in 2002 with a Bachelor of Science in Elementary Education and minor in Art Teaching from Weber State University. She presently holds a Utah State level 2 teaching license. 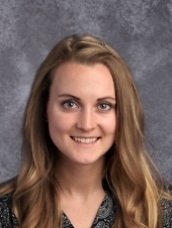 Brittany completed her lower elementary Montessori certification through the Institute for Guided Studies, which is accredited with the Montessori Education Programs International. Over the past 16 years, Brittany’s educational experience has led her to amazing experiences working with individuals of all ages and circumstances. Brittany has always had a desire for helping individuals grow in their own unique paths. Her true passion was found within the Montessori philosophy. She has been involved with the Maria Montessori Academy community since 2010. She is currently in her fifth year as a lead lower elementary guide. Brittany appreciates the beauty of the Montessori philosophy and how the focus is about unfolding the potential each individual holds and sharing those gifts with the world. When Brittany isn’t in the classroom, she is busy with her husband and three daughters. She loves the mountains. Her ideal weekend is spent hiking and camping. She enjoys learning and plans to complete her Master of Education degree in Montessori Education. Ms. Christina began her Montessori journey in 2011 when she began looking for alternative education methods for her children that addressed their needs in a more holistic way. After discovering the Montessori method and theory, she enrolled her oldest son in preschool and quickly discovered that she wanted to be more than just an involved parent. She put herself through Early Childhood training through the Center for Guided Montessori studies and received her certification in May 2017. She has worked exclusively in public Montessori schools and loves the inclusive nature of public education when combined with the individualized approached of Montessori. Ms. Christina has lived in more than a dozen places all around the world, including Indiana, Thailand, Texas, North Carolina, Spain, Delaware, Singapore, Kentucky, Mississippi, Illinois, England and now Utah. She loves to travel and experience new cultures, especially local foods. Cooking and eating is one of her passions, along with reading, playing the piano and many outdoor activities. Ms. Christina is thrilled to be moving into Lower Elementary education to be able to focus on cosmic education and culture as well as create a community of learning. Kaley has been with MMA since its opening in 2010. Prior to teaching at MMA, she taught 3-6 year olds at another Montessori school. Kaley has been teaching at the lower elementary level since the 2011-2012 school year. She has her Montessori Lower Elementary certification, Utah State Level 2 licence, Bachelors degree in Industrial Design from The Savannah College of Art and Design, and her Masters Degree in Art Education from Boston University. Kaley has presented at The Utah Montessori Conference on art and on science and has served on the Advisory Committee for MMA. 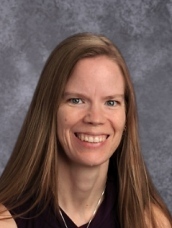 Her favorite areas of teaching are: History, Science, Geometry, Zoology, and the Montessori Large Math materials. Living in Utah since 2008, Kaley comes from Baltimore, Maryland. Her interests are: baking, trying new recipes, knitting, puzzles, and watching a good TV show or movie. She lives in North Ogden with husband and daughter who also attends MMA. 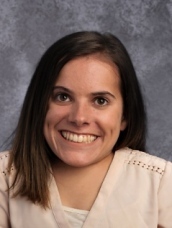 Kaley understands how different each student is at learning and is exceptional at a variety of teaching methods; currently providing students ways to become better writers, solvers, and how the learning you do today effects your tomorrow. Her classroom focuses on building a classroom community as well as learning about outside communities through projects, field trips, and service. Her organized and art-like approach allows all her students to enjoy the learning path that he or she is on. Jalee Schofield grew up in the small town of Woodruff located in Northern Utah. She is the 7th of 10 children. 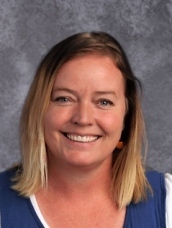 She currently lives in North Ogden with her husband Eric, their daughter, Sloane, and their new baby boy Sawyer who was born in March of 2016. Sloane is a very active and independent 2 year old. Sawyer has Down syndrome. He is a healthy, growing boy who may come with some challenges in the future but is most definitely a great blessing to their family and home. Jalee graduated in 2009 from Utah Valley University with her Bachelor’s of Science in Elementary Education. She currently holds a Level 2 Utah State Teaching License. She is a Montessori certified Classroom Director of Elementary Education, ages 6-9 through the Institute of Guided Studies. 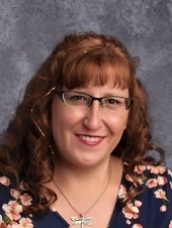 In the fall of 2010, Jalee began her teaching career when she was hired as a Special Education Assistant Teacher at Ogden Preparatory Academy. She worked there for one year specializing in building up and helping children in reading recovery classes. She was also privileged to tutor a young autistic student after school. She began working at Maria Montessori Academy in 2011, one year after it opened. For her first year she was the assistant to Ms. Kaley Parsons. Not only did this year give her a chance to form a strong lasting friendship with Ms. Kaley, but it allowed her to grow as a person and a teacher as she went through the process of growth as a Montessori teacher. In 2012, Jalee was blessed with the opportunity to become the lead teacher in her own classroom. The last 4 years, have been a wonderful journey of growth and love. Jalee enjoys being with her family, especially her husband and children. She loves to find time to spend with her younger siblings and reminisce about growing up. Her favorite season is Autumn, and she loves living in a place where all the seasons are so different. 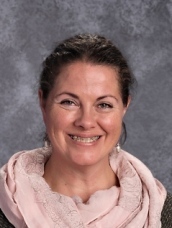 Some of her favorite things are reading, laughing, being with her family, being with her students, hamburgers and fries (especially Red Robin and Five Guys), Sweedish Fish, Starburst, the color blue, and being outside. Her husband says she is an “awkward gift receiver,” but she loves to give to others. Her goal as a Montessori teacher is to continue to grow in peace education and be able to share her love of learning with her students and let them know she loves and believes in them. Mikaela earned a Bachelor’s of Communication in 2015. She then received her lower elementary Montessori certification from the American Montessori Society in June 2018. 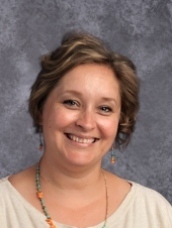 She completed her teaching practicum at Walden School of Liberal Arts in Provo, Utah during the 2017-2018 school year. Mikaela is currently working on a Master’s in Education. She is excited to begin her first year of teaching at Maria Montessori Academy. Mikaela has lived in many places across the United States. She has a goal to travel around the world. Her hobbies include: singing, dancing, teaching, getting to know people and going on random adventures. Mikaela’s love for children is strong. She has wanted to be a teacher since she was 2 years old, when she would play pretend school with her siblings and stuffed animals daily. It is almost unreal that her dream has become a reality! She is thrilled to work with amazing little humans who, she says, actually teach her more than she teaches them. Kotie Ellis began life in the deep south. Moving up and down the East coast within large and small cities, she gained insight and exposure to persons of many cultures, religions and backgrounds. This exposure also built a strong passion within her to learn all she could and eventually, teach. In time, Kotie studied English Literature and Composition at Oglethorpe University in Atlanta, Ga., earning her Bachelor’s Degree. After long searching, she found Montessori education when her daughter was born and proceeded to earn her Master’s in Education from Loyola College alongside her Elementary Certification in Montessori from Washington Montessori Institute, an AMI accrediting agency. In addition, Kotie’s license in teaching hails from Weber State University. Her passion for Montessori education and learning in general are evident in her every action. Continuing to educate herself to better serve her students, she gleans knowledge from conferences, seminars and articles. Kotie has two children of her own, a teen and a very young one. She loves travel, science, handwork, puzzles, and anything culturally diverse. She plans to travel to Thailand this summer with some colleagues to support local schools with their reading programs. John came to America in December of 2011 with a Masters in Special Education and 5 years of teaching teenagers with a variety of physical, mental and emotional disabilities. He first started teaching English as a second language back in 1987, working mainly in Japan, before becoming a practitioner of Acupuncture and Shiatsu massage in 1993. He worked in that field in Australia, Spain and England before becoming a triage manager for a general medical practitioners in 2003. He returned to education in 2006, after obtaining his teaching degree in the UK, building on previous Bachelor degrees in Environmental Science and Health. In the US John qualified for a Special Educator’s license and then obtained his Level 1 and Level 2 Elementary Licenses. 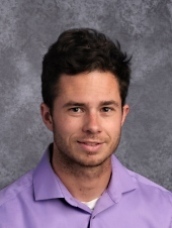 He has been working at MMA for 6 years as an upper elementary teacher and is presently enjoying his role representing the upper el teaching team in the administration. He looks forward to taking some administrative courses in the future. John has lived, worked and traveled in a variety of countries in Europe, Asia and Australasia, picking up Spanish, French and Japanese in his stays. He loves living in Utah, skiing in the winter and hiking in the fall and spring. Not forgetting his roots, he travels back to England in the summer to visit family and friends. Kirsten grew up in Biloxi, Mississippi as the youngest of seven children. She moved to Utah in 1998 and graduated from Weber State University with a Bachelor of Science degree in Child and Family Studies in 2000. 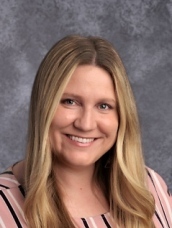 She continued her education by pursuing her level 1 Utah teaching license and being trained as a lower and upper elementary Montessori guide by the Institute for Guided Studies. 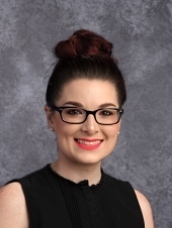 She has worked as an assistant teacher for two years and a lead teacher for three years in an upper elementary classroom at Maria Montessori Academy. Kirsten is the proud mother three amazing daughters. She loves spending time with her family, taking walks, bike rides, and reading books. She also loves teaching using the Montessori philosophy as a guide. 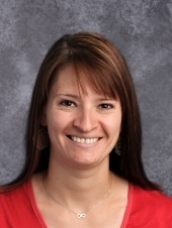 She enjoys building relationships with her students and watching them grow and progress through the curriculum. She plans to pursue her level 2 Utah teaching license and continue learning and growing as a teacher. Laura Hughes is originally from North Idaho where she graduated from the University of Idaho in Moscow, Idaho with her Bachelor of Science in Environmental Science with an emphasis on ecology and conservation biology. Before pursuing teaching as a career, Laura traveled the west and worked as a research assistant for the Forest Service in the Wenatchee/Okanogan National Forest in Washington, a tour guide for the San Diego Zoo Safari Park in California, and a National Park Service Ranger at Oregon Caves National Monument, Oregon. She discovered a passion for education through tour guiding and spent three years as an instructor with High Trails Outdoor Science School in the San Bernardino National Forest, California. She found Montessori when a group of students visited High Trails from a Montessori Academy based in San Diego, California. A new passion for Montessori education and a love of the outdoors brought her to Utah where she is currently pursuing her AMS credentials for Upper and Lower Elementary as well as her Master of Education from Westminster College in Salt Lake City, UT. When she is not studying or teaching, Laura enjoys being outdoors in any capacity including skiing, hiking, and rock climbing. Weather not permitting, she loves spending a day filled with knitting, reading, or Zelda. Amy Otto graduated from Brigham Young University with a Bachelor of Science in Elementary Education. She is a level 2 licensed educator for the State of Utah. Amy has completed her Montessori training and is now a certified Lower & Upper Elementary Montessori guide. She has spent most of her life teaching children, youth and young adults. Amy is currently taking professional development classes through USOE. She is constantly learning new techniques to implement into the classroom. She would like to pursue another degree in the future. Those plans are yet to be determined. Amy is married to her college sweetheart. Together they are raising 4 wonderful children ranging in age from 18 to 10 years in age. One of her greatest challenges and successes in life is being a cancer survivor. With the help of a fantastic family, great surgeons and a wonderful school family she is now a 5 year breast cancer survivor. Her heart is with her family and her classroom. She absolutely LOVES teaching and educating children. Amity Rockwell received a Bachelor of Science, in 2006, from Weber State University, where she studied Botany and Chemistry. Before pursuing teaching, she worked as an analytical chemist for a local nutritional supplement company. Amity received both her lower and upper elementary Montessori training from the Institute for Guided Studies. She is currently part of Utah’s ARL program working toward her level I license, and plans to pursue a level II license when she is able. Amity’s experience in Montessori Education began when she enrolled her daughter in an early childhood program nearly 10 years ago. Prior to becoming a teacher at Maria Montessori Academy, she volunteer taught Botany in an upper elementary classroom for two years. 2015-2016 marks Amity’s third year as a lead upper-elementary teacher at Maria Montessori Academy. Amity lives with her husband and daughter on the East Bench in Ogden. She enjoys spending time with her family making short films, hiking, camping, gardening and cooking. 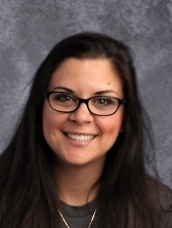 Shanan Zollinger is an upper elementary teacher with a Bachelor’s Degree in Education from Utah State University. She has her Montessori certification in early childhood and lower and upper elementary training from the Institute for Guided Studies. 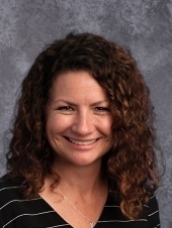 She has taught Montessori education for over ten years spending three years in early childhood, three years in lower elementary and four years in upper elementary classes. 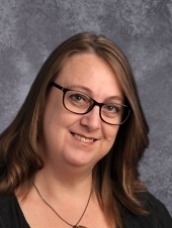 She just finished her Master’s degree in Advanced Montessori Education from St. Catherine University and she is a level 2 licensed teacher in the state of Utah. Shanan loves to exercise and be in the outdoors. She has a loving family and is raising two sons. She lives in the North Ogden area and was born and raised in Logan Utah. Sarah Dalton received her Bachelor’s degree from Utah Valley University in Music with an emphasis in voice (performance emphasis). She later graduated with a Master’s in Music Education as well as a teaching license from the University of Northern Colorado. Sarah has conducted school and community choirs for over 7 years. She has also had experience teaching guitar, piano, and voice lessons in school settings as well as private studio settings. In Sarah’s undergraduate degree a large area of focus was performance. She had the opportunity to perform in theater; choirs; and operas, and has since aided in theatrical productions on a junior high level. 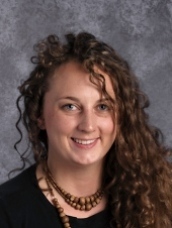 Sarah has currently started her Orff levels (a kinesthetic, exploratory, and movement based approach to teaching music), and is excited to finish up and implement what she has learned from this certification. Sarah believes that students often learn best when they are physically involved in the learning process and thus has developed a kinesthetic approach to teaching. Sarah has 2 of her own children who are her world. Outside of school her family loves hiking with their golden retriever and rock climbing. Sarah has a special love for junior high students, and is excited to be a part of the Maria Montessori team. Richard Madsen is a recent graduate from Weber State University, where he earned a B.A. degree in German with a European Studies minor. Richard had a rich university experience, during which time he lived and studied for one year in Bayreuth, Germany, translated archival letters from World War Two, and poured his soul into every research paper. It was also in university that Richard found love in a girl whose family ties lie in the land that captivates him almost as much as she does. Though new to the teaching career, Richard brings diverse experience and a personal philosophy to the classroom. 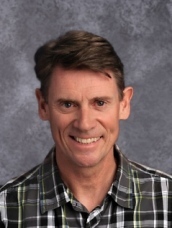 He served as the official German tutor at Weber State and also gave private lessons; additionally, he has gathered insight by contrasting his experiences in the American and the German classroom. Learning through cultural comparisons can help us achieve a more efficient classroom, but is also a crucial skill for life as an adult. It helps us understand where other people are coming from and how we can work with them. Culture forms the core of Richard’s class subjects and he introduces it to students as the expression of humanity across time and space. Everyone of every age is an individual, and the only thing that separates us is culture. By helping students identify culture in their own place and time, they can celebrate others and themselves for their uniqueness. It is the lesson that helps stop bullying in the classroom of today and egocentrism in the governance of tomorrow. 15th century German manuscripts. He also kicks back by playing strategy games on the computer and exploring his girlfriend’s love of zoology in Utah’s great outdoors. Lisa Molyneux graduated from Brigham Young University with a Bachelor of Arts in English. Her emphasis was British Literature with a minor in Editing. Lisa has a love for literature and the power of words. She is looking forward to sharing this excitement with the 9th grade English Language Arts and Mythology students. One of Lisa's favorite things is getting to know new people and places. She has traveled and lived in multiple states and countries. She brings this passion for people and cultures into the College and Career Awareness class. Her goal is to expose students to multiple opportunities for their future and start their own desire to discover more of the world. Teaching is something Lisa has always cared about. She loves for all the wonderful ways the Montessori Method can help students learn and grow. This method of teaching aligns with her beliefs in how to create unique and personalized education. Lisa is excited to work with the Jr. High team -- she admires their dedication to the students and education. Lisa has a husband and two children. They enjoy reading, traveling, all water activities, and spending as much time as possible together. 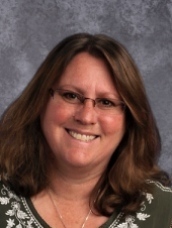 Michelle holds a Bachelor's degree in Biology Composite Teaching from Weber State University. 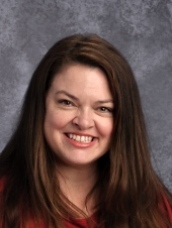 She has a current Utah State teaching certificate and is certified to teach the biological sciences. Michelle is currently pursuing her certification in general science. This is Michelle’s first year at Maria Montessori Academy. 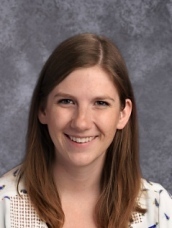 Prior to her graduation, Michelle was an assistant for the Ritchey Science and Engineering Fair at Weber State University where she had the wonderful opportunity to mentor students with their projects. Michelle was also involved in the planning and preparation of the fair. This afforded her many opportunities to work with and create lifelong friendships with professors and fellow science education students. Michelle considers herself to be a lifelong learner and hopes to spark the desire for the pursuit of knowledge with her students. She understands that through hard work and excellent communication, students can accomplish any goal that they may choose for themselves. Some of Michelle’s interests include Entomology (the study of insects), plant taxonomy, (especially Utah native plants), kayaking, snowboarding, and hiking. Leigh is originally from Utah and lived in the Pacific Northwest area for more than 18 years. Leigh holds her B.A. in Ecological Studies from Seattle University and received an M.A. in Sustainable Development from SIT Graduate Institute. 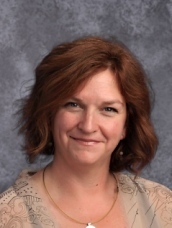 She is endorsed in the State of Utah in Agriculture Education and is currently working on her Adolescent Montessori Certification through CMStep and an M.A. in Education through Xavier University. Leigh has been with Maria Montessori Academy since the winter of 2016. Her background is in experiential learning, which makes Montessori a seamless fit. She loves teaching the Jr. High Erdkinder and Peer Mentor programs. Leigh believes they both are important pieces in creating a well-rounded and prepared environment for our future leaders and caretakers of our environmental and social communities. Ms. Leigh loves to be in nature, reading, live music and traveling. She has traveled and lived in many places both nationally and internationally. She enjoys sharing her experiences and encourages others to explore, learn, and laugh as much as possible. 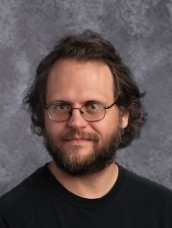 Adrian Stumpp holds a Bachelor of Arts degree in English from Weber State University and a Master of Fine Arts degree in creative writing from Oregon State University. Adrian is in his first year as a Teaching Assistant at Maria Montessori Academy. In the past, he worked with children as a Tier II Program Intervention Specialist for Ogden City School District. 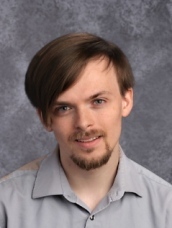 He has also taught fiction and poetry workshops for children and adults at the Eccles Community Arts Center as well as introductory fiction-writing and composition courses as a Graduate Teaching Assistant at Oregon State University. Born in western Wyoming and raised primarily in the Ogden area, Adrian currently lives in Roy with his wife, Brittanie, and son, Alexander. He enjoys reading and writing and spending time with his family watching movies or having fun in the outdoors. Casey Swain has a bachelors degree in physical education with a minor in health and coaching. He student taught at Orion Junior High here in Pleasant View and helped coach Roy High School's girl's soccer team for 1 season. For six months he worked as a long-term substitute teacher in math at TH Bell Junior High. He has a great passion for all things related to sports and health. This is Casey's second year here at Maria Montessori Academy. He will be teaching Physical Education, Fit for Life, Health and Weight Training. He is certified by NASPE to teach archery for Physical Education. Casey is married and has a 1 year old daughter at home. He loves to spend his free time with family, playing soccer and participating in numerous athletic events. He choose to become a teacher to help the youth develop a passion for physical activity and a healthy lifestyle. He is excited to help students achieve this throughout the year. Andria Yost holds a Masters degree and teaching license from Marylhurst University in Portland, Oregon, and a Bachelors degree with dual majors in Art and Psychology from Weber State University. Maria Montessori Academy has been home to Andria for over a year, where she started as an upper elementary assistant. Now, while the Jr. High is growing, she is eager to be a part of the Arts and life with the MMA family. Sculpture is an expressive tool for Andria, and her work has been exhibited in galleries and publications. The mentor-student relationship has always inspired her work and given her a great passion for education, with a desire to share her love of learning and the arts. Andria is from Ogden, and has been with her husband, Adam, for 9 years. Adam taught her how to snowboard and in return, she taught him to play chess. They met in art school, and are still developing creatively which each other. Together, they have a new baby boy, Theo. Her family loves to travel and go rock hunting; once, they found a crystal mountain. Andria is currently a member of the Junior League of Ogden, and Chair of Oasis Community Garden in Ogden. These works are important to her because of their impact on her hometown. Working regularly with volunteers, gardeners, and other board members, she is able to see the great influence of those who are dedicated to the success of Ogden. 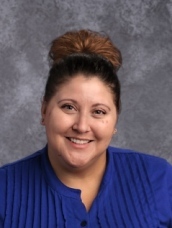 Dana Archuleta has a Master of Education from Texas Tech University and is licensed in Special Education and Elementary Education. Dana comes to Maria Montessori Academy from Albuquerque, New Mexico where she taught for 21 years. Dana started her career teaching at the New Mexico School for the Blind and Visually Impaired. She was there for 10 years. For the last 11 years, Dana has been a teacher in an inclusion classroom and the Head Special Education Teacher at a public Elementary School. As the Special Education Coordinator at MMA, Dana would like to create a Special Education Program that gives all students the same opportunities and a quality education. Dana moved to Utah in May 2016 to join her wife Stacey. Together they have 3 boys. Their oldest son is in college, and their two youngest son’s attend MMA. As a family, they enjoy kayaking, paddle boarding, and playing a variety of games. Amy Jo Proctor attended Weber State University and earned Bachelor of Science degrees in Zoology and Microbiology. She also enjoyed many classes in Botany, Astronomy, Physics and Mathematics. She worked at the Ott Planetarium providing Science Education and Outreach to the local community from 2004-2015. She is a producer, writer, and animator of several planetarium shows shown world wide; these were produced with an emphasis on the educational content while still providing enjoyment for the students and their families. Prior to attending Weber State, Amy Jo taught at a preschool and daycare for 8 years providing early childhood education for children in Ogden. Amy Jo feels education is an everyday adventure and enjoys learning new things. She is excited to become part of the Montessori community and learn more about the methods used in elementary education. Amy Jo believes that every person has the right to an enjoyable educational experience and wants families to be able learn and grow together. Family is extremely important to Amy Jo, she has been living in Utah her entire life in order to maintain strong family bonds. She and her husband have been married for 11 years and have two boys who attend Maria Montessori Academy. As a family they enjoy doing science experiments and raising chickens. Along with her husband she is the cofounder and producer for Physics Foundry, which produces educational content for planetariums. She enjoys cooking, sewing, traveling, reading, playing the violin, and spending time exploring the wonders of nature. Kathleen Lowe was born in Connecticut, but grew up all over the East Coast and Asia (Korea, Philippines, and Japan), and spent most of her adult life in Arizona, Utah, and Colorado. She studied for a Bachelor of Fine Arts in Illustration from Brigham Young University, but left during her senior year to work as an artist in the video game industry. When her children entered high school, Kat went back to school at Western Governors University, and earned a degree in Elementary and Special Education. She is endorsed by the state of Utah in Elementary Special Education, K-6 Elementary Education, and Secondary Special Education. She has studied Montessori Foundations, and Upper and Lower Elementary math and language at the Institute of Guided Studies. Kat discovered the Montessori math materials and curriculum while home-schooling her own children, one of whom has autism and ADHD. She was further introduced to the philosophy behind the materials when she came to work at Maria Montessori Academy in 2011. She is passionate about the untapped potential of “disabled” people. She feels that Montessori is a great way to integrate children with special needs into general education classrooms, by allowing them to work at their own pace and develop a real love of learning. Painting, traveling, and reading are Kat’s primary hobbies, though she is also known to indulge in video games, sci-fi movies, and swimming. Lynette Whitehead graduated from Utah State University earning a Bachelor of Science degree in special education with an endorsement for mild/moderate disabilities. The 2017 to 2018 school year marks her third year at Maria Montessori Academy. She has had the opportunity to work with students in the regular education classroom setting as well as in the special education setting before coming to MMA. She continues to learn through a variety of continuing education opportunities. Ms. Lynette enjoys working with students at Maria Montessori Academy. Ms. Lynette enjoys warm weather the most, even though she is a native of Utah. Being outside and spending time with family and friends are great pleasures in her life.